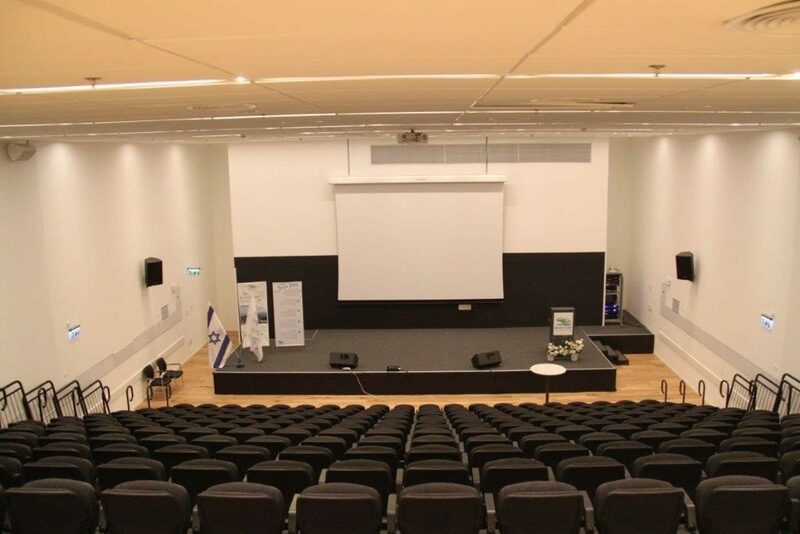 First, Dr. Zarka presented the overview of the Ziv Medical Center. Dr. Zarka also explained the unique issue faced by the hospital. Dr. Zarka explained how it started. “It started on Saturday, February 16, 2013, when seven Syrian wounded, moderate to severe, got close to our border at the Golan heights. It happened abruptly. The military battalion’s medical staff came to the point and treated them. But they decided that in order to save their lives, all of them had to be evacuated to Ziv. So, these seven Syrians came to our hospital with the military ambulances. Hospital staff treated all of them, operating on some. They were hospitalized for ten days, and then they all went back to Syria. It was top secret. No media. And the patients were treated and hospitalized in isolated rooms with the military personnel/police that guarded them. These people were coming from Syria, our sworn enemy. It really could have been a catastrophic effort. But fortunately, everything went well and the Syrians were treated and they went back. But after that, we needed to evaluate the situation because we could not have two sudden occasions. Only one was enough. We discussed the situation with the Army. I just finished my position as the Commander of the Medical Command of the North. We began discussing with the different partners about what we would do with a second event. “We encountered more issues after they were brought to this hospital. First, we did not know about treatments they had received at the other side of the border as they were coming with no documentation. We were not sure about their allergy or medication they had taken. One time, we found out what had gone wrong with the previous treatment only after we performed an abdominal surgery. Then there was the issue of what level of treatment we should provide to Syrian patients. You already mentioned about our experience of sending IDF Medical Corps’ humanitarian aid to all over the world. It is mostly done for two weeks in a disaster area by the WHO humanitarian standard. Humanitarian standard aims to save lives, not to improve quality of life. You have limited resources and limited time. To use an example, in order to save life, a seriously wounded leg would be amputated. To amputate is one operation. Two days of hospitalization and then the patient would be released. Unfortunately, without the leg, but he is alive. Dr. Shinwell raised another issue. “We faced the next problem. When we had the resources, it did raise a question about whether the resources that were being assigned to the Syrians in anyway limited the resources available to Israeli citizens. There were times when there were conflicts. The intensive care unit was full with Syrians. The question is what do you do when an Israeli comes in. I personally experienced one situation where doctors were standing around arguing. Who should be in the intensive care? Dr. Zarka talked about the issue of expense. Dr. Shinwell shared some other episode that he had to deal with. At this point, I asked them if Syrians’ attitude changed over time as they received medical care. Dr. Zarka remembered what it was like when he first saw Syrians at the field hospital. But what Dr. Shinwell told us was insightful. Rabbi Cooper then asked about the impact on hospital staff. Dr. Shinwell’s answer was very honest and moving. “I think it is mixed. It is naïvely idealistic to pretend that everybody thought this was wonderful and would say, ‘Look at what good things we do.’ Our staff came from many different backgrounds. Take my department. There are Jews, religious and non-religious, Moslem Arabs, Christian Arabs, Druse Arabs, and another Arab group, all mixed. And attitudes of these groups towards Syrians were often quite different. And the Syrian conflict was also incredibly complicated with all sorts of different groups, which were based on religious and ethnic differences. We left Ziv Medical Center with the hope that those Syrians who were born or received medical care here would one day be able to reveal it and express their gratitude publicly. 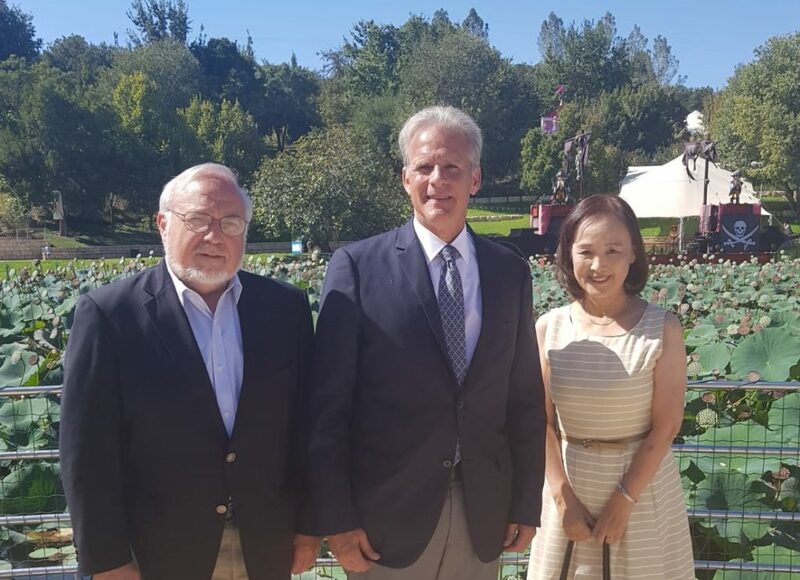 Next day, we were back in Jerusalem and had lunch with Mr. Michael Oren, former Israeli Ambassador to the US, a current member of the Knesset, and Deputy Minister in the Prime Minister’s Office. He had deep understanding of Japan, even being familiar with the phenomenon of anti-Semitic books in Japan in the 1990s when he was an advisor to the late Prime Minister Yitzhak Rabin. 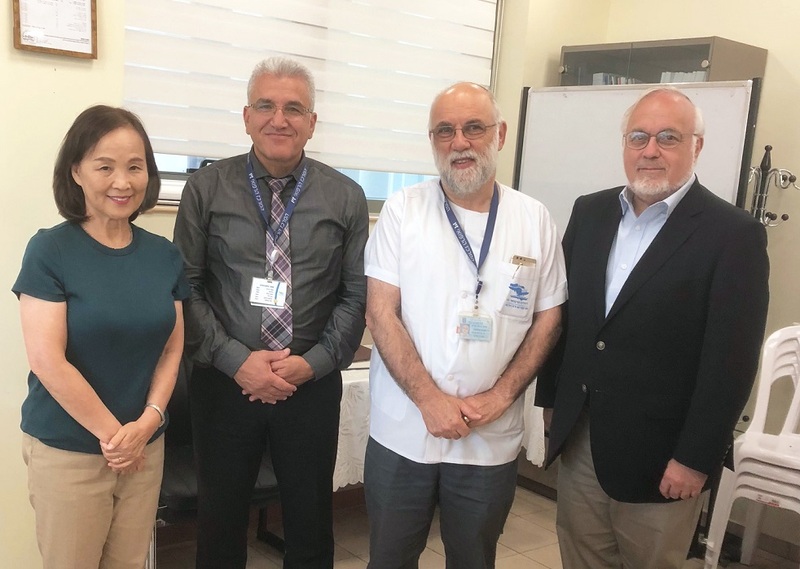 When he suggested that one good way for Japanese people to understand Israel would be to visit a hospital in Israel, both Rabbi Cooper and I immediately agreed. Video on Ziv Medical Center’s work of helping Syrians. *Kinue Tokudome is the author of Courage to Remember: Interviews on the Holocaust. She has written articles on Jewish people and the State of Israel for Japanese publications. She is currently working on a book about profound episodes in Israel that are not well known in Japan.